From Ryugu to Bennu, asteroid exploration has been all the rage among astronomers lately. And now, we’re one step closer to exploring some of the most mysterious asteroids in the solar system. 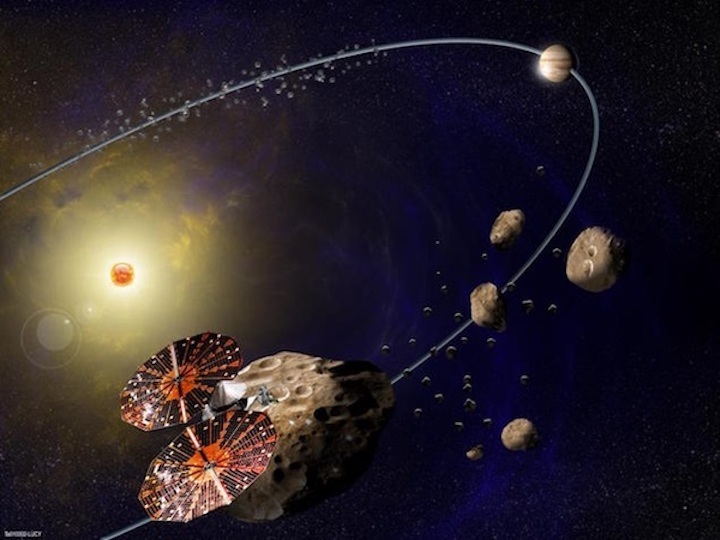 On October 30, NASA announced that they’ve been given the green light to start building Lucy, a spacecraft that will probe Jupiter’s trojan asteroids and is set to launch in October of 2021. On top of giving the go-ahead for construction, NASA has also solidified the mission’s budget, schedule, and its suite of high-powered instruments. The much-anticipated project will study two populations of asteroids caught by Jupiter’s gravity, about which little is known. Studying asteroids is a hefty task, and it’s not going to be a quick one, either. The Lucy mission, named after the 3.2 million year-old hominin fossil who helped us understand human evolution, will take almost 12 years to complete. Once it’s finished, though, the craft will have probed seven different asteroids — six trojans and one main-belt asteroid between Mars and Jupiter. After launching from Cape Canaveral, the craft will orbit twice around Earth before relying on a gravity assist to fling it out into space. In this slingshot-like maneuver, Lucy will approach Earth from behind and dip briefly into its strong gravitational field for a speed boost. This move will help both reduce the mission’s overall travel time and cut down on the amount of heavy fuel it needs to carry. The first stop on its celestial voyage will be at 52246 Donaldjohanson, a small main-belt asteroid named after the famous paleoanthropologist who discovered Lucy. It will orbit close to the asteroid and use its infrared mapping spectrometer, thermal infrared spectrometer, and high-resolution visible imager to study its surface composition and physical properties. With one asteroid under its belt, the mission will continue on its journey to the trojans. These famous asteroids circle the Sun in the same orbit as Jupiter, with one massive group flying ahead of the gas giant, and another trailing behind at what’s known as Lagrangian points. 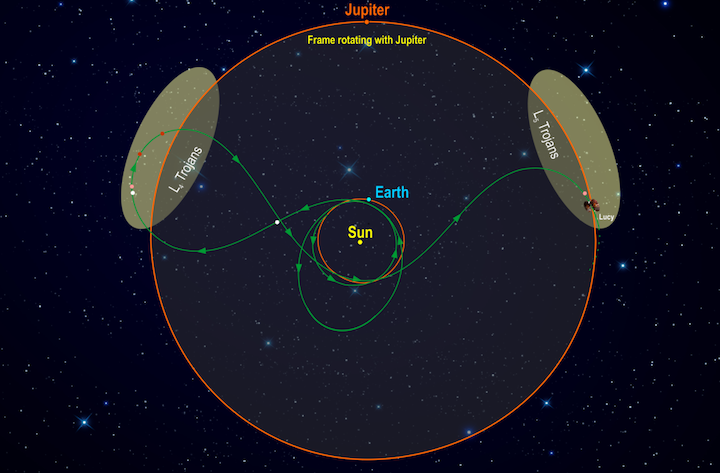 Using the same instruments and techniques, Lucy will probe four trojans in the group leading Jupiter and two in its orbital trail. When it comes to tracking our solar system’s history, Lucy’s data could prove highly valuable. It’s believed that asteroids are ancient fragments leftover from our solar system’s formation, and that they, unlike planets and moons, have roughly the same structure and chemical composition that they did when they first formed. It’s also thought that asteroids could have transported organic molecules, like water, to larger celestial bodies. By determining the compositions of these relics, Lucy could gain insight into the chemical elements that made up our infant solar system, and help researchers trace its formation and evolution. The confirmation review, formally known as "Key Decision Point C," authorized continuation of the project into the development phase and set its cost and schedule. The confirmation review panel approved the detailed plans, instrument suite, budget and risk factor analysis for the spacecraft. The next major mission milestone, the Critical Design Review, will examine the detailed Lucy system design. After a successful critical design review, the project team will assemble the spacecraft and its instruments. Lucy, the first space mission to study the Trojans, takes its name from the fossilized human ancestor called “Lucy” by her discoverers whose skeleton provided unique insight into humanity's evolution. Likewise, the Lucy mission will revolutionize our knowledge of planetary origins and the formation of the solar system. Lucy is planned for launch October 2021. During its 12-year journey, the spacecraft will visit seven different asteroids - a Main Belt asteroid and six Trojans. The spacecraft and a remote-sensing instrument suite will study the geology, surface composition, and bulk physical properties of these bodies at close range. 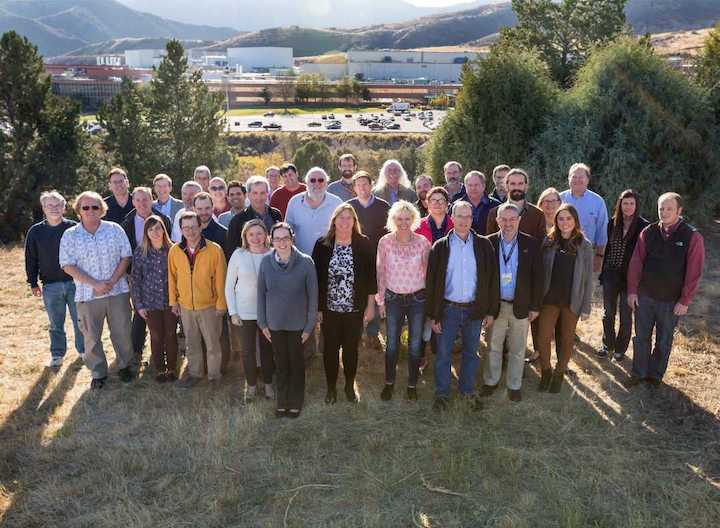 Southwest Research Institute (SwRI) in Boulder, Colorado is the principal investigator institution and will lead the science investigation. NASA’s Goddard Space Flight Center in Greenbelt, Maryland, will provide overall mission management, systems engineering and safety and mission assurance. Lockheed Martin Space Systems in Denver, Colorado, will build the spacecraft. Instruments will be built by Goddard, the Johns Hopkins Applied Physics Laboratory in Laurel, Maryland, and Arizona State University in Tempe. This diagram illustrates Lucy's orbital path. The spacecraft’s path (green) is shown in a frame of reference where Jupiter remains stationary, giving the trajectory its pretzel-like shape. After launch in October 2021, Lucy has two close Earth flybys before encountering its Trojan targets. In the L4 cloud Lucy will fly by (3548) Eurybates (white), (15094) Polymele (pink), (11351) Leucus (red), and (21900) Orus (red) from 2027-2028. After diving past Earth again Lucy will visit the L5 cloud and encounter the (617) Patroclus-Menoetius binary (pink) in 2033. As a bonus, in 2025 on the way to the L4, Lucy flies by a small Main Belt asteroid, (52246) Donaldjohanson (white), named for the discoverer of the Lucy fossil. After flying by the Patroclus-Menoetius binary in 2033, Lucy will continue cycling between the two Trojan clouds every six years. The Space Coast can expect to see yet another deep-space NASA science mission blast off on an Atlas V rocket from Cape Canaveral Air Force Station. NASA on Thursday announced the selection of United Launch Alliance's rocket to launch the upcoming "Lucy" mission from Launch Complex 41 no earlier than October 2021. “We could not be more pleased that NASA has selected ULA to launch this amazing planetary science mission,” ULA CEO Tory Bruno said in a release. The program, which plans to send a spacecraft to Jupiter's Trojan asteroids, would be the first time a mission would fly to several different destinations in independent orbits around the sun, according to NASA. Some of the Lucy mission's team members at Lockheed Martin Space Systems in Denver, Colorado. Named after a fossilized human ancestor discovered in 1974 and the Beatles song "Lucy In The Sky With Diamonds," NASA's mission aims to uncover the secrets of how the solar system first formed more than four billion years ago. The Atlas V family of rockets previously launched other NASA science missions aimed at learning more about solar system formation. Those include NASA's InSight, New Horizons and OSIRIS-REx. Lucy, however, will be the first mission to Jupiter's asteroids. Two groups of asteroids, known as Jupiter's Trojans, swarm along the planet's path around the sun: One travels ahead of Jupiter's orbit and the other always lags behind. Scientists believe these asteroids may be remnants from the primitive materials that formed the outer planets. By sending spacecraft to gather information, researchers hope to understand more about the origins of planets. "Lucy, will show us, for the first time, the diversity of the primordial bodies that built the planets," according to NASA. "Lucy's discoveries will open new insights into the origins of our Earth and ourselves." Lucy will complete a 12-year journey to seven different asteroids. ULA has successfully launched 132 missions to orbit. The company is scheduled to launch the Air Force's 10th Wideband Global SATCOM communications satellite aboard a Delta IV rocket no earlier than March 13 from Launch Complex 37.